As a child who grew up in the San Joaquin Valley of central California, I knew all about summer sizzle. We lived with triple digit heat day after day, and never dreamed there was cooler weather in other places. Well, there was the coast, but that was special, and just for two weeks vacation each year. The rest of our summer was spent running through sprinklers in the yard, eating homemade popsicles and peaches, lying around in the shade of our trees, and looking forward to evenings when we could expect some reasonable let up from our sun-scorched days. The evenings were quiet, still, cool. After the sun went down, the heat began relinquishing its stranglehold on us, and we could walk outside without feeling as though we were stepping into a blazing oven. Not that the inside of the house was much cooler. In the 1950’s, few people had air conditioning. Most of our neighbors had nothing to make their homes more comfortable; we had a table fan. Four blades, no guard, circulating air while pointed in one direction, usually at the screen door which opened to our covered front porch. It supposedly helped, but I am pretty sure it just stirred overheated air in the living room. The rest of our house cooked in suffocating heat day after day, making eating, or sleeping very difficult. Actually, it was really hard to do anything when it was over 100 degrees inside and out. But, in the evening we could breathe again. Often, after my dad got home from work, we would change into our bathing suits, jump in the car, and drive about three miles down a country road to our favorite canal, located between peach orchards; just one branch of an expansive irrigation system that changed a dry, arid valley into the bread basket of the world. 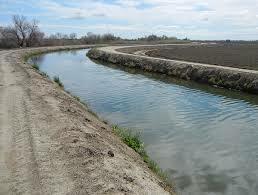 We ran pell mell from our car along the dusty bank of the canal, and dove into the cold, refreshing water. Not one time did we think of how clean it was, what broken bottle, rusty nail or can could be lying on the canal floor, or if pesticides sprayed on the peach trees had washed into the water. No, not once. We swam, yelped, floated, and played with complete abandon; so happy to be cooled down, and freed from the oppressive heat of the day. 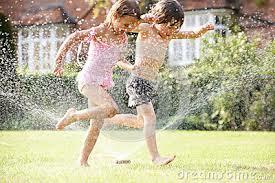 There was one summer day in 1954 when any and all relief we looked forward to halted abruptly. And at the time, it was not just activities to relieve us from the heat that were taken away; almost anything fun was eliminated. No more swims in the canal, day camp at Beard Brook Park was cancelled, tennis lessons were not remotely negotiable, and even if we went to our favorite park downtown, we were forbidden to approach, much less attempt to take a sip out of any drinking fountains. In the early 1950’s, there was a scourge in our land that struck terror in the heart of every parent, and made them all but keep their children in a bubble to protect them. It was paralytic poliomyelitis, or polio. This horrific disease seemed to have no cause, and it had no cure. It was a virus that struck communities, leaving children and adults crippled, paralyzed, or dead. It could not be contained, and the families devastated by it numbered in the thousands each year. We all had heard about polio, and as a matter of regular summer protocol, our mothers would make any of us who complained of an ache, nausea, or fatigue roll our heads around to see if we had any issues with the muscles in our necks; they took our temperatures; made us wash our hands repeatedly throughout the day; and quizzed us on how everything felt from head to toe, nothing left to chance. They felt this was the best and only way to keep their children safe. Until one day it did not. The butcher at our neighborhood grocery store had a little girl one year younger than I. She was pretty, sweet, and well-liked by all the kids in our neighborhood. And in June of 1954, she contracted polio. Parents in our area reacted with passion and a mixture of sympathy, concern, and horror. Their hearts broke for the family of the little six year old girl, they wept for a young life that would never be the same, they were scared out of their minds for their own children and themselves. An unseen monster had marched right up to their doors, and they were defenseless. All we could do was hunker down, and wait to see what would happen next, and to whom. Thankfully, that summer passed, and no one else in our circle of friends became ill. School resumed in the fall, the academic year progressed with all of us being watched closely, and finally summer of 1955 arrived. 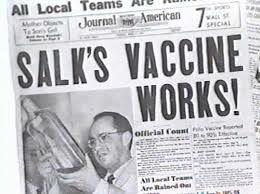 So did the Salk vaccine. The minute it was available at our doctor’s office, my mother had us there to be inoculated. I have never seen her so relieved before or since regarding her children’s health. Actually, I am surprised she did not ask for double portions for us just to make sure we were covered. We got our shots, and in short order things began returning to normal. It was hot again, we had places to go, and activities to keep us busy. All of the kids in our neighborhood, save one little girl, came out of the polio epidemic that hit our town the previous summer unscathed. And with a new perspective, it just did not seem right to complain of the heat anymore when we had been spared something so much worse. 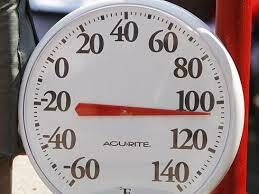 Even now, I may acknowledge the temperature of a summer’s day, and perhaps even remark about the comfort level. But complain? No. It still does not seem right. Thank you! It was a scary time, and we were happy to have made it through without getting sick. Jonas Salk. I had to do a paper on him way back when. Life was simpler then was it not. During the summer, my parents rarely saw us except at meals as we were out and about. Life got a whole lot better for is after the polio vaccine. Thanks for your comment. Good post. I wonder, with so many parents refusing to get kids vaccinated these days, and the resurgence of diseases like measles and whooping cough, how long will it be before we start seeing a similar recurrence in polio? I just saw an article yesterday about a polio outbreak in Pakistan. it is a very serious question you ask. And alarming. Just before I retired, there was an outbreak of whooping cough in the population I served, and it reached epidemic proportions. All of us who worked where I did were required to dash to our doctors and get booster shots. I think people have been lulled into a false sense of security regarding these dreadful diseases. Illnesses we never want to see again. Wonderful post. I remember taking the sugar cubes in the early 60’s. Too many people are given a platform to spread nonsense about vaccines being bad for us as if there’s a conspiracy to vaccinate people for no reason (well in their minds it’s so the drug companies can make money). We live in a much more comfortable life I think with amenities at our fingertips yet we complain a whole lot more. Yeah it’s hot, it’s a pain but it’ll pass. Unlike someone stricken with polio…it won’t pass. Thank you for your comment. We are the fortunate ones, and I would hate to see these diseases return.